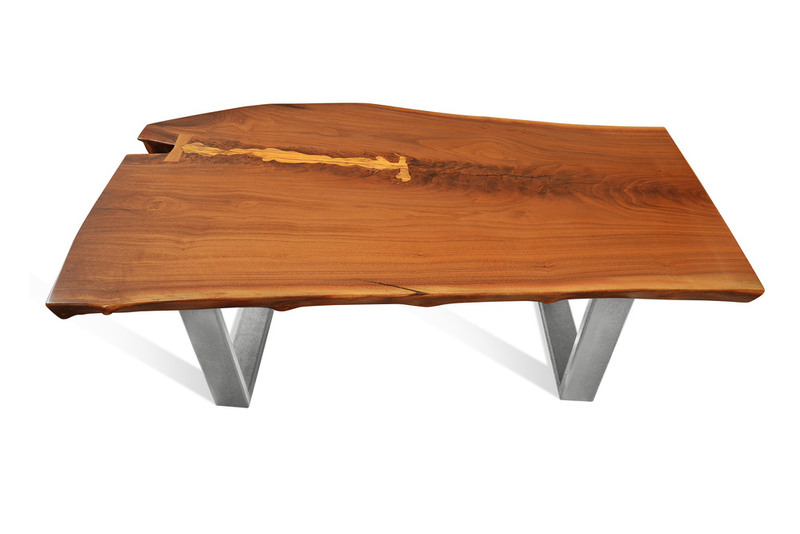 A coffee table that demands only the finest roasts and objects to grace its surface. It shares many characteristics with it's Walnut sibling Empress, including a unique 'scar' we filled with perfectly cut pine lumber. Mocha is sweet, rich, and full of depth.